Some people expect others to put all of the effort into making a relationship work. This might work out well if you really like the person, but it will get old pretty quickly. If you feel that you are putting in most of the effort in the relationship, you may want to pull back for a while. 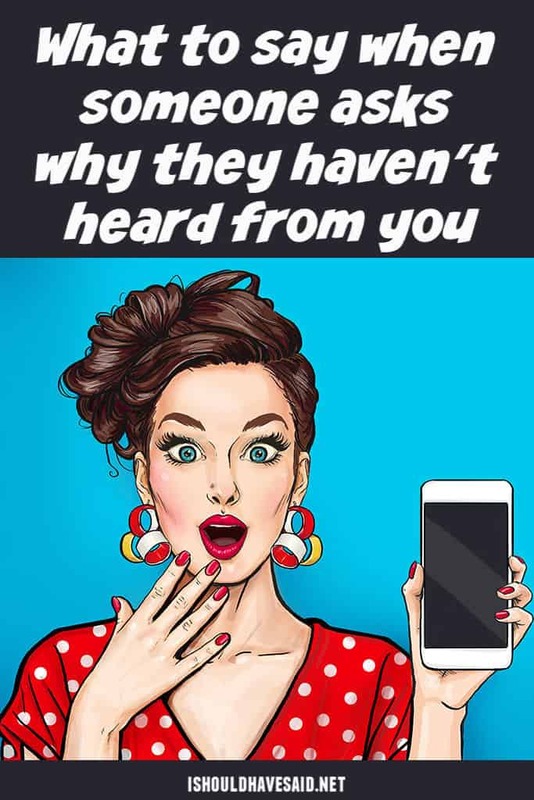 Next time you run into the person they will inevitably ask, “Why haven’t I heard from you?” Both of you have arms and can pick up the phone to get in touch. If you friend wants to know why you haven’t been in touch, let your friend know that friendship is a two way street with one of our great comebacks. You expected me to keep in contact with you YOU but not vice versa. I forgot that's how friendship works. I like to give the gift of my absence to those who do not appreciate my presence. Oh, you're upset that I haven't called. Well, my number hasn't changed either. I didn't know your phone and email only had incoming capabilities. The phone works both ways. 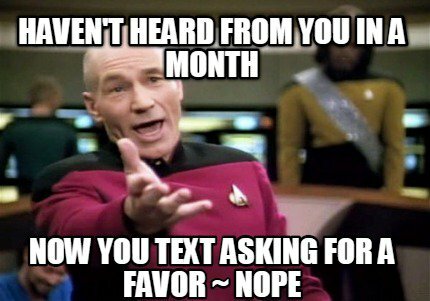 The same reason I haven’t heard from YOU! What if you’ve been doing everything to communicate with someone for ages and they’re just not responding? My nieces and nephews don’t hate me, they love me. They just don’t respond. These answers seem to assume that someone will only say “Why haven’t I heard from you?” when they haven’t been making an effort themselves.